A cold sore is a blister which appears on a person's lip or the edge of the mouth and is caused by infection with the HSV (herpes simplex virus). Such blisters will usually break open and weep clear fluid and then crust over and finally disappear after a few days. 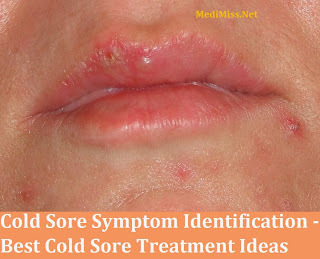 In this article we will look at cold sore symptoms. 1. A sore mouth which makes eating, drinking and sleeping uncomfortable. Unfortunately many who suffer with cold sores find them painful. 2. You may have a temperature or fever. 3. You could suffer from a sore throat. 4. The lymph nodes in your neck will have become swollen. 5. Small children who have cold sores will drool more than usual. Although you may no first develop a cold sore when you first become infected with HSV and if you do develop them when you are first infected these are normally more severe than any later outbreaks that may occur. With the first outbreak of cold sores they will often spread to any part of the mouth and not just be situated at one particular location. Once a person has become infected with HSV it will remain in the body and may cause cold sores to return throughout your life. Most people who suffer from cold sores will have between 3 and 4 outbreaks a year although some may even suffer more than 1 cold sore attack each month. 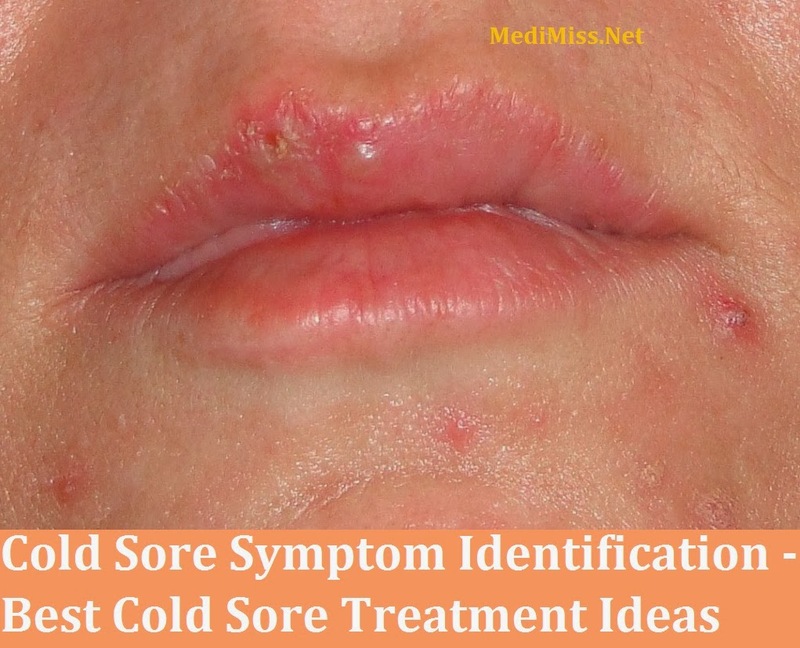 Those core sores which are recurrent usually develop where a person's facial skin and lips meet and it takes between 6 and 48 hours before a cold sore becomes visible. The first real symptoms that a person will feel when a cold sore is about to happen is a tingling, or burning, or itching, or numbness, or tenderness or in somes cases pain around the affected area and this is called the prodromal stage. Things which may cause a cold sore to return include such things as exposure to sunlight especially to the lips, stress, fatigue, another infection (such as a cold or flu), a food allergy, an injury that has happened to your lips or gums or you immune system may be impaired. Also women whose hormones are changing which can be caused by their menstrual cycle or because they are pregnant and result in cold sore symptom issues. As you see the cold sore symptom can be varied and it all depends on the person who has actually been infected by HSV. Stay out of the sunlight if you get one on your lips or use spf 30 on the spot on your lip it occurs.